We also work with other organisations which promote a spirit of adventure. New members are always welcome, regardless of age, experience or ability. 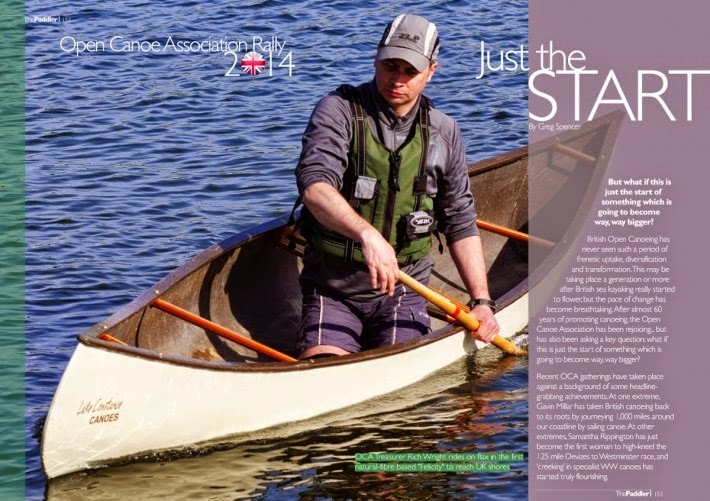 Families, women, young people and paddlers with a disability are especially welcome as are lone paddlers looking for a network of like minded people who share a similar passion for open canoeing. Our new website has been developed to carry details of forthcoming events, to be a portal to key articles on equipment, techniques and trips, and to allow members to publish based on their own paddling experiences. Our Facebook Group provides a second hub for our online community, helping canoeists keep up to date with news and events and providing a further forum for discussion. In addition, we operate a variety of regional and specialist groups based around specific canoeing-communities. I would be happy to receive regular updates on events coming up, and regular news letteres of events. Think your not the only one! I would be very interested in joining any OCA trips to Canada in 2016. Hi how do i go about getting an assesment.